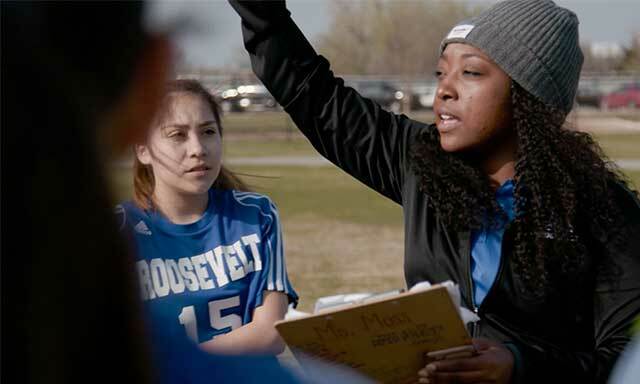 Thanks to a renovated sports complex at an inner-city middle school, Charis Moss isn’t just a teacher and Lizbeth Fierro isn’t just a student. They’re witnesses to the positive impact that athletic fields can have on a school and its students. Roosevelt Middle School is just one of 88 inner-city schools in OKC’s largest school district, Oklahoma City Public Schools (OKCPS). Charis Moss is just one of 4,600 OKCPS employees. Lizbeth Fierro is just one of 46,000 OKCPS students. But there is one common thread that keeps this school, this teacher, and this student each from being just a number. Or worse, a statistic. That thread is the BALTO Sports Complex at Roosevelt Middle School. Thanks to the BALTO Sports Complex, Roosevelt Middle School isn’t just an inner-city middle school. It’s a school with one of the best sports facilities in Oklahoma City. Thanks to the BALTO Sports Complex, Charis Moss isn’t just a teacher at an inner-city middle school. She’s a teacher AND a coach. Thanks to the BALTO Sports Complex, Lizbeth Fierro isn’t just a student at an inner-city middle school. She’s a student AND an athlete. Both are witnesses to the positive impact that athletic fields can have on a school and its students. Lizbeth grew up with few opportunities to play sports. Before Roosevelt and before Coach Moss, she lacked confidence and had low self esteem. But being on the pitch has changed the way she feels about herself. It’s as if it was purposely made to help her believe in herself. It’s as if it was built for the sole purpose of connecting her with a coach that believes in her and is willing to push her to succeed. When Coach Moss yells “Push yourself!” to her student-athletes, she’s not just coaching cardio and conditioning. She’s teaching them determination. Because she knows the will to fight carries over from the field to the classroom, and from the classroom and to everyday life. 82% of women in executive-level jobs had played organized sports in middle, high or post-secondary school. 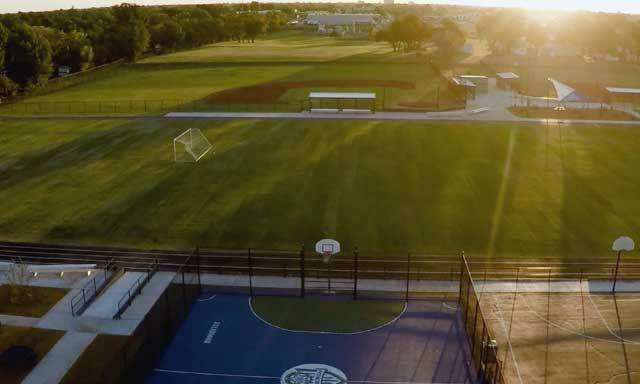 Since 2012, Fields & Futures has rebuilt 22 athletic fields for OKCPS. Their goal is 42. Just like the BALTO Sport Complex, each one is purposely made.